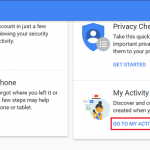 You are here: Home / Delete Social Media / How to Delete all Tweets at Once on Twitter? There are so many reasons that you may want to delete some of your tweets or all of them. You may have been tweeting since the beginning of the Twitter, and you may have grown up enough to find those tweets too childish. You may have started an entirely new life with all new startups, and you may not want your new buddies to see your past. Before deleting tweets keep in mind that, tweets will be removed from your account, the timeline of any account you follow, re-tweets of your account and also from the Twitter search result. If you feel like you may require the tweets and re-tweets you have made in future, then you got to archive them before you delete them. Once your tweets are deleted, there is no going back. 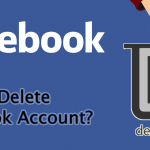 Or you want is to delete an entire Twitter account?, then walk through steps to delete a Twitter account permanently. Different tools/sites may be used to delete all tweets. 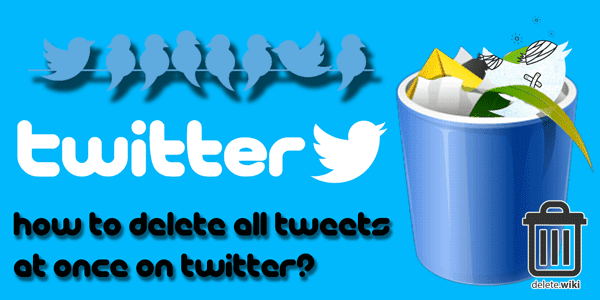 We will tell you how to remove all tweets using some of them. 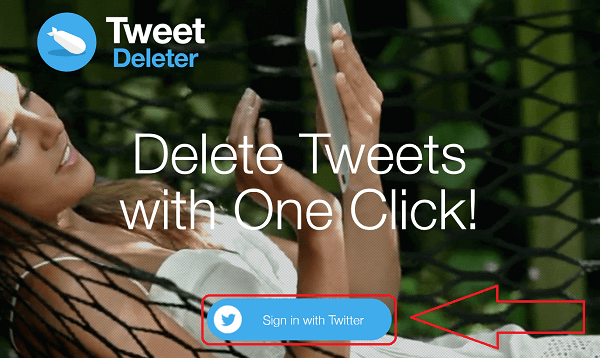 Open Tweet Deleter in any web browser. Click on Sign in with Twitter. Log in with username and password of the account whose tweets you want to delete. 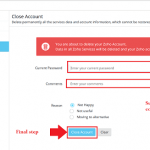 By logging in you will authorize the application to use information and data in your account. After approving the application, you will see the list of tweets you have made to date. Select individual tweet you want to delete. If you want to delete all your tweets, then click on select all tweets. Click on Delete Tweets towards the top right of the page. A confirmation message will appear, click on Delete and the tweets you don?t want on your timeline will be deleted. 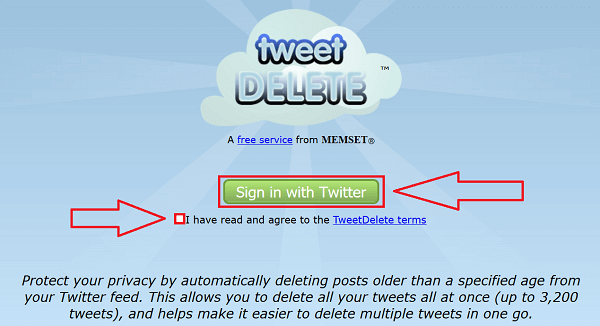 This application is useful if you want to delete all your tweets automatically after a particular time. Suppose if you don?t want any of your tweets last more than one year then this is the app for you. 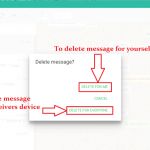 However, this application can be used to delete existing old tweets in bulk as well. 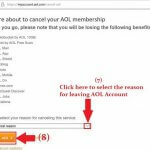 Open any web browser and visit Tweet Delete page. Select ?I have read and agreed to the TweetDelete terms? then click on Sign in with Twitter. Sign into Twitter account with username and password, then click Authorize app. Then you will be provided with the option to delete your tweets after a certain period automatically. You can select the time frame from the drop-down menu. 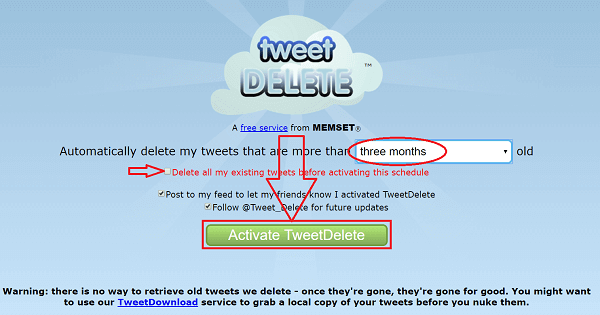 To delete all your existing tweets select on “Delete all my existing tweets before activating this schedule?, then click on ‘Activate TweetDelete’. 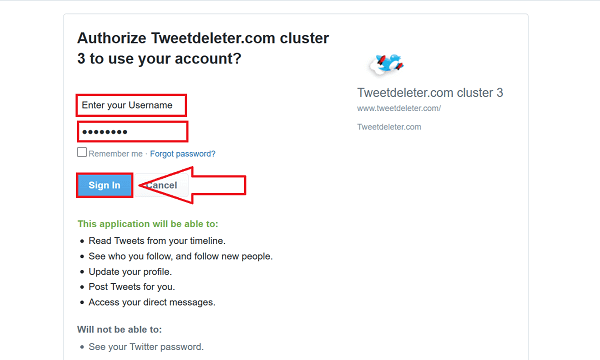 If you don?t want your tweets to be deleted automatically after a certain time in future then despite using this application you may use Tweetdeleter.com as instructed above in this tutorial. 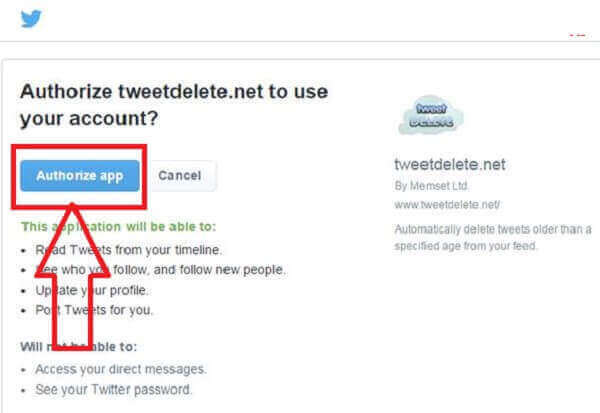 Or you may deactivate ‘tweet delete’ application on your account by revisiting the site http://www.tweetdelete.net/.